WingDust Wednesday: "After Party @ Jimmay's"
Hi readers! I'm super excited to say that I have new WingDusts to show you! I had totally been missing my WingDust Wednesday posts, but now I have enough new shades to last me for at lest a little while! "After Party @ Jimmay's" - This navy blue crelly base is filled with lavender and lilac hexes in several sizes, lilac triangles, magenta hexes, squares, and two sizes of dots, aqua iridescent hexes, small bright pink squares, medium pink hexes in a couple sizes, lavender stars, dark purple metallic hexes in a couple sizes, teeny tiny magenta bar glitter, and lots of blue shimmer. Application was easy peasy and these photos show just two coats plus top coat! 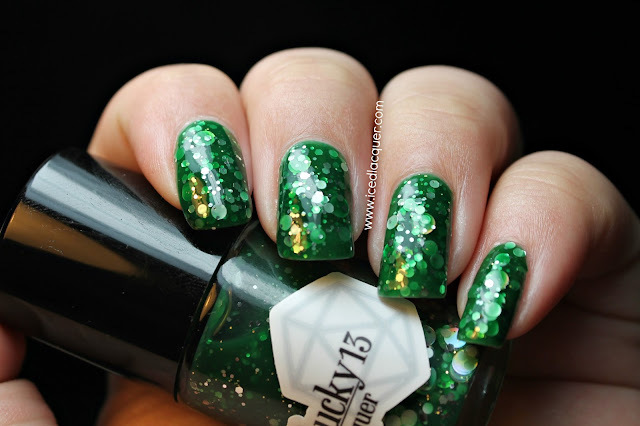 The glitter was incredibly easy to get out of the bottle and spread very nicely. I usually wear aquas or bright blues more so than I wear navy shades, but I think this might be my favorite navy blue polish in my collection. It's saturated but still has a dusty quality to it that makes it more unique than a basic blue. 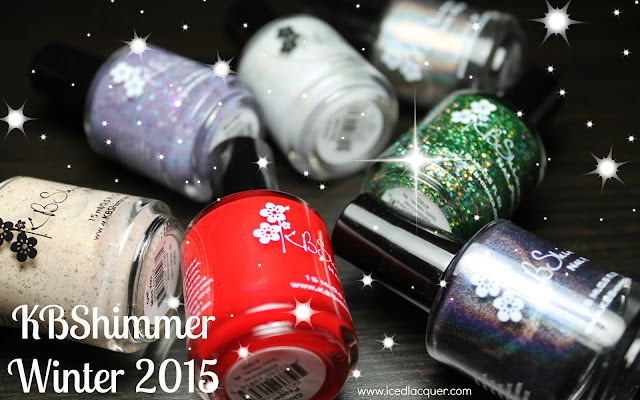 The glitter mix, both shapes and colors, is absolutely perfect! I actually had no idea that there were tiny bar glitters in it until I looked at my macro shots on my computer! My thoughts? Another beautiful creation with an excellent formula. I hope you all know that I am being completely honest when I say WingDust polishes consistently have some of the most creative mixes and easy to use formulas. If you're someone like me who loves this mix of aqua, blue, purple, and pink, then I would definitely recommend adding this polish to your collection. 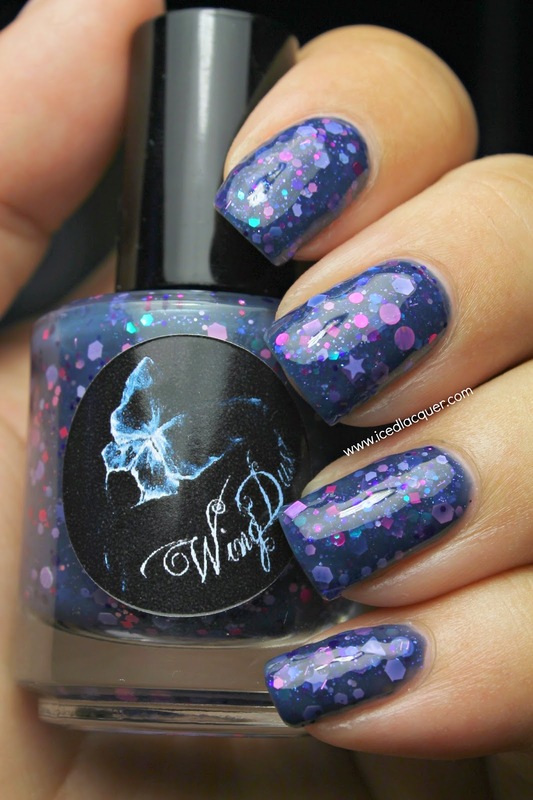 You can purchase WingDust polish on Etsy, Llarowe, and several other international stockists. 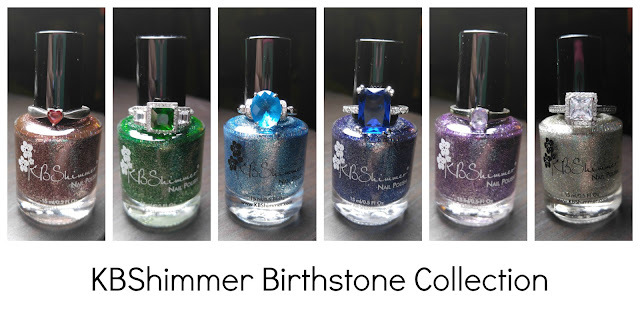 Make sure to follow her on Facebook to see sneak peeks of new polishes and restock notices!